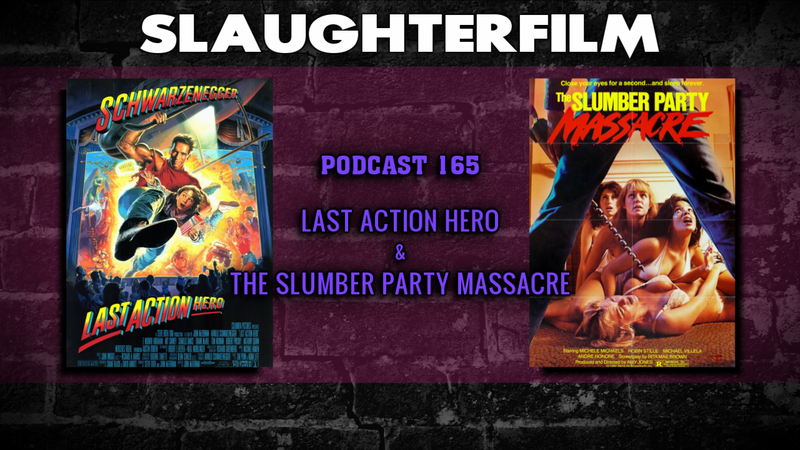 This week Forest concludes the "Subtext of Schwarzenegger" with the action-comedy Last Action Hero. Cory does a follow up summer-time slasher with a feminist point of view, The Slumber Party Massacre. The Horror Duo also reminisce about their childhood return to school after the summer break. They also discuss the wonderful turn out of film submissions for the 2015 Eerie Horror Film Festival. All this and talk of a Pet Sematary remake, Leonardo DiCaprio playing H. H. Holmes, cannibal grannies and Mad Max: Fury Road being screened at the Erie Art Museum. For more Slaughter Film news and reviews, as well as show notes and special events, make sure to visit our website; SlaughterFilm.com.